BERLIN -- German Transport Minister Andreas Scheuer signaled automakers including Volkswagen Group and BMW could be hit with more painful measures to reduce vehicle emissions, while pledging to protect "hundreds of thousands of jobs" in the car industry. Scheuer declined to comment on a report last week in Der Spiegel magazine that automakers could be asked to contribute to a government fund worth 5 billion euros ($6.2 billion) to pay for hardware to improve older diesel cars' emissions setups. "No, I cannot confirm that as the discussion is completely open," Scheuer, a member of Chancellor Angela Merkel's Christian Democrat-led bloc, said in an interview with television broadcaster ZDF on Tuesday. Diesel vehicle owners should not have to "pick up the tab" for "mistakes" made by automakers and the government is committed to avoiding driving bans in polluted cities, Scheuer said. His comments highlight the difficult position for the government in holding automakers accountable while safeguarding jobs in Germany's most important sector, with more than 800,000 direct employees. Diesel sales have slumped across European markets since the revelation in September 2015 that Volkswagen Group had rigged the emissions setups in some 11 million vehicles globally to bypass emissions tests. "We are also interested in keeping the hundreds of thousands of jobs in a major, highly innovative industry in focus," he added. "It's about maintaining that strength." The diesel fallout has complicated automakers' plans, adding pressure to increase the pace on investments in costly lineups of electrified cars. Consumers turning away from diesel, to-date mostly in favor of gasoline cars, is also making it harder for manufacturers to comply with tightening European Union regulation amid uncertain uptake of battery and plug-in hybrid vehicles. Pollution from diesel cars in cities has been ignored "too long," Economy Minister Peter Altmaier said Tuesday at the Future Mobility Summit in Berlin. The government was working to improve emissions levels "as soon as possible." Having to install new hardware in older diesel models would dilute a victory for the car industry, which agreed in August to provide quick-and-cheap software upgrades and trade-in incentives aimed at improving air quality. Diesel's fortunes took another turn for the worse in February, when Germany's top administrative judges put millions of diesel cars at risk of being barred from city centers in a ruling that said towns can be forced to implement bans if they are the last resort to reduce smog. 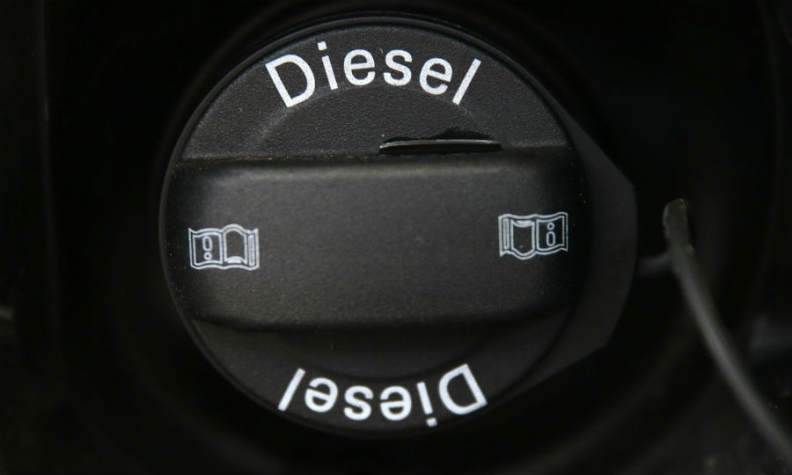 Scheuer, who is due to discuss the diesel issue with cabinet colleagues at a meeting outside Berlin starting on Tuesday, said automakers must fulfill their pledge to update software on 5.3 million diesel vehicles by the end of this year. He said that a joint government-industry fund worth 250 million euros has already been agreed on and that manufacturers will formally sign up to it on Tuesday.